We love the National Railway Museum. There’s so much to see there, and so much to do, from hopping aboard a bullet train, to taking a ride on the miniature railway, to burning off energy at the railway-themed soft play area. During half term, the museum will be holding activities such as Flying Scotsman model making sessions, and there will be a funfair with rides in the South Yard. If you have a soft spot for Babe or have a child who loves animals, this one is for you. Babe, The Sheep-Pig has been brought to life on stage in an enchanting new production. Featuring stunning puppetry, an original score and an utterly charming ‘baa-ber sheep’ quartet, the tour will arrive at the West Yorkshire Playhouse on Wednesday 15th February. 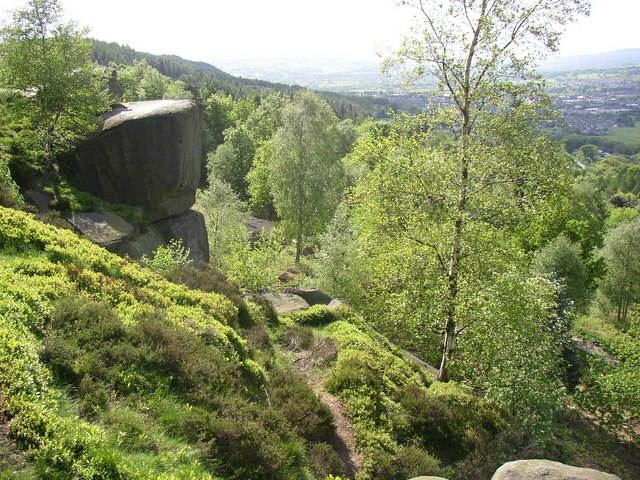 The Chevin is a brilliant location for a walk. It’s easily accessible from Leeds city centre, or even better if you live in the suburbs in north Leeds. The views are amazing and the walk you pick can be as easy or as challenging as you like. The best part of a morning out on the Chevin is combining it with a stop-off at the Cheerful Chilli, a gorgeous vegetarian cafe located in the middle of the Chevin. The ice rink is in full swing in Millennium Square at the moment, so make time to head down with the kids during half term. This year, there will even be an indoor ice rink, meaning that the weather has no chance of ruining the family fun this week. The Ice Cube is open Monday to Friday from 10am to 9pm, with sessions running every hour. You may not know it, but Wakefield is part of the Rhubarb Triangle, an area of Yorkshire that has grown the best forced rhubarb for hundreds of years. Between 17th and 19th February, the city centre streets will be bursting with market stalls selling speciality food and drink with different samples to try. Jean-Cristophe Novelli will join the fun along with Rachel Green, star of ITV Yorkshire’s Flying Cook. For families, there will be street entertainment, a family rhubarb trail, guided walks, and plenty more fun with a rhubarb theme. The Hollies Coffee Shop in Little Budworth: Is the price right?